A lawsuit over the disclosure of the Trinidad and Tobago government’s memorandum of understanding (MOU) for a proposed Sandals resort in Tobago has been settled, local reports have said. The lawsuit was filed by trans­paren­cy ac­tivist Afra Ray­mond, according to the Trinidad Guardian. The Guardian reported that the case came up for hear­ing be­fore Jus­tice Frank Seep­er­sad in the San Fer­nan­do High Court less than 24 hours af­ter the doc­u­ments were dis­closed to the for­mer pres­i­dent of the Joint Con­sul­ta­tive Coun­cil for the Con­struc­tion In­dus­try on Wednes­day. 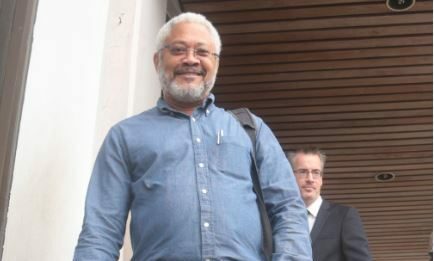 The publication said that dur­ing the brief hear­ing, Se­nior Coun­sel Deb­o­rah Peake in­formed the court that all the in­for­ma­tion re­quest­ed by Ray­mond had been pro­vid­ed. The move ren­dered Ray­mond’s claim aca­d­e­m­ic as he was mere­ly seek­ing the dis­clo­sure of the doc­u­ments. As he en­tered a con­sent or­der on be­half of the par­ties, Seep­er­sad or­dered that the State pay Ray­mond’s le­gal costs for bring­ing the law­suit, according to the Guardian. In his claim, filed in Oc­to­ber, Ray­mond was al­leg­ing that the Gov­ern­ment was un­jus­ti­fied in re­fus­ing his re­quests un­der the Free­dom of In­for­ma­tion Act, ear­li­er this year. Per­ma­nent sec­re­tary to the Prime Min­is­ter Mau­rice Suite had claimed that the doc­u­ments could not be dis­closed as the agree­ment, signed with the Ja­maican com­pa­ny in Oc­to­ber, last year, con­tained a con­fi­den­tial­i­ty clause. Every time Sandals makes the news,there is allways something sinister behind the deal.